CIRCA 1967 - Communications satellites are loaded onto the Titan III as its payload. 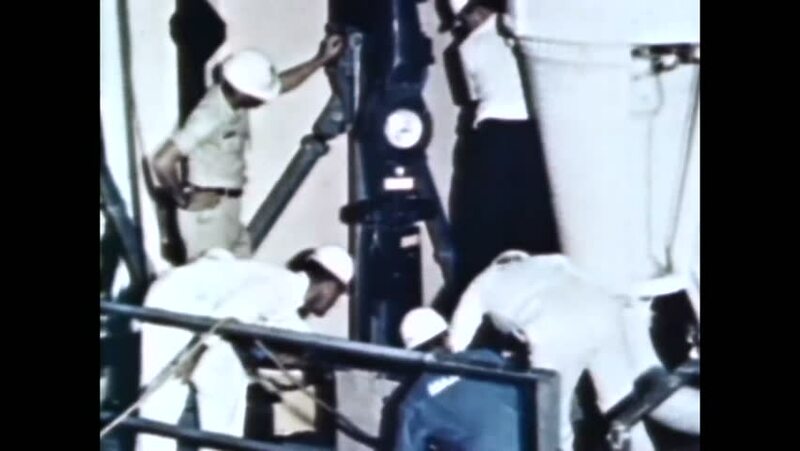 hd00:42CIRCA 1962 - Men from myriad professional backgrounds are pulled together to work on the concept of a ballistic missile for space travel. 4k00:251940s: Bombs move through factory. Racks of bombs. Men pack bombs into wooden crates. Men move boxes of bombs. Men work on planes in factory. Benches and workers. hd00:50CIRCA 1930s - Laminated and insulating materials are produced in factories and used in products, including a timing train and radio set.